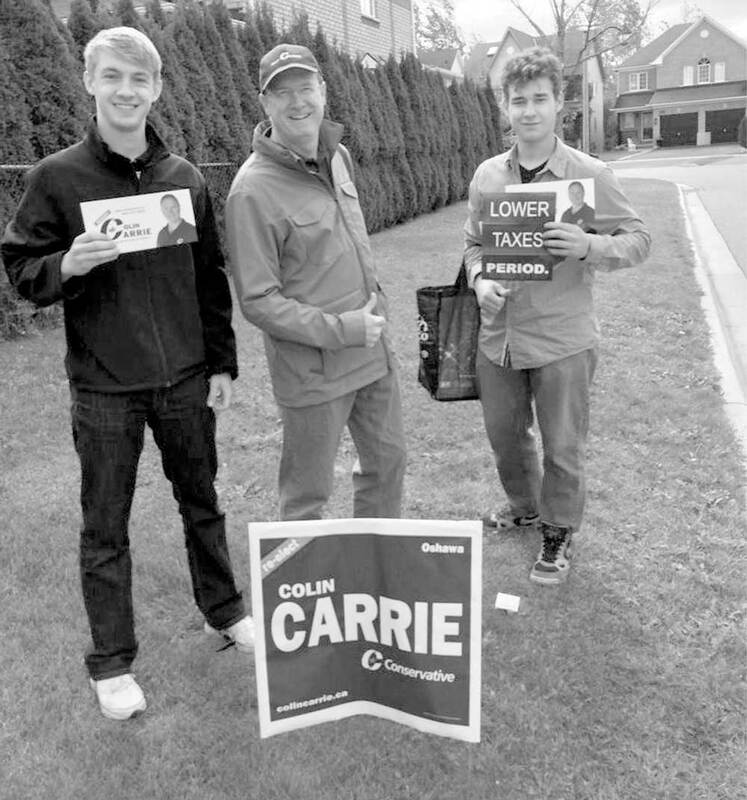 Conservative candidate Colin Carrie and his team were out knocking on doors over the weekend to drum up support for his party. The Conservative’s numbers have held steady in national polls since the election was called, but are lower than what they were in 2011. With the Liberals welcoming former Prime Minister John Turner to town and NDP leader Tom Mulcair rallying the party faithful at the General Motors Centre, Conservative candidate Colin Carrie took his message closer to home – literally. Volunteers for the incumbent candidate’s team chatted up Oshawa residents and left party and candidate information at homes over the Thanksgiving long weekend. Carrie’s party has seen its numbers remain steady over the long election campaign, hovering around the 30 per cent mark since August according to the CBC. These numbers are down from the near 40 per cent the Conservatives saw toward the end of the 2011 federal election. According to seat projections from the CBC, Carrie’s Conservatives will be fighting against Justin Trudeau’s Liberals for control of the House of Commons, with the result likely to be a minority government.